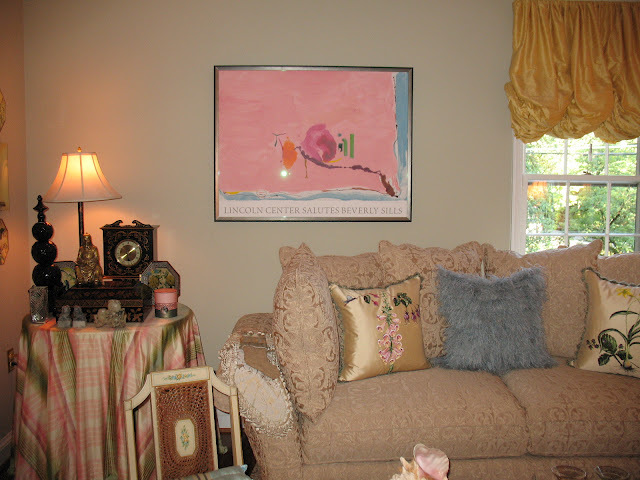 Originally my living room had only one oil painting above the sofa, pictured below. As you know, I have become enamored with the combination of abstract modern art and Chinoiserie and have started adding modern pieces to my home. 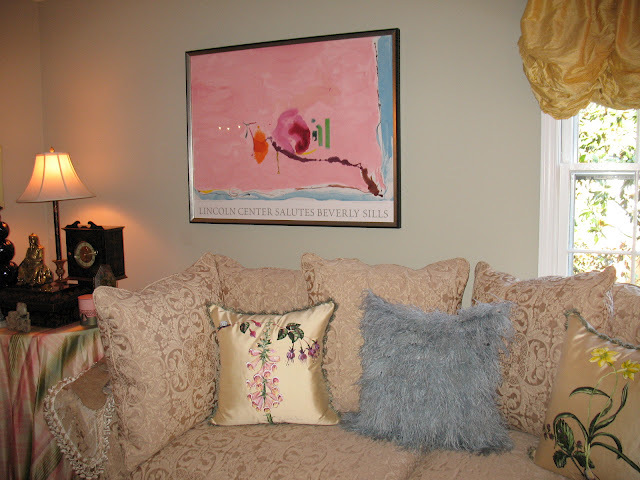 In my living room, I had switched out the traditional painting with a Helen Frankenthaler Lincoln Center giclee after seeing these rooms below by Mario Buatta and Eileen Kathryn Boyd. But the gallery wall in my kitchen One Room Challenge gave me the idea of turning this area into a grouping of abstract art as well. 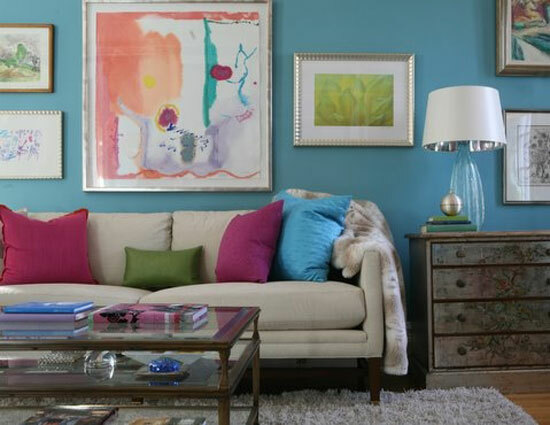 I first turned to my very talented sponsor - artist Susan Brown of the Etsy shop Bohemian Romance to create this lovely abstract on the bottom right picking up the blue, turquoise, pink, green, and yellow in the room. I love it. Her Etsy store is filled with stunning Chinoiserie art and abstracts. I then added this very chic Louis Vuitton inspired piece on the top right (yesterday) by Etsy artist Jennifer Latimer of Gilded Mint. 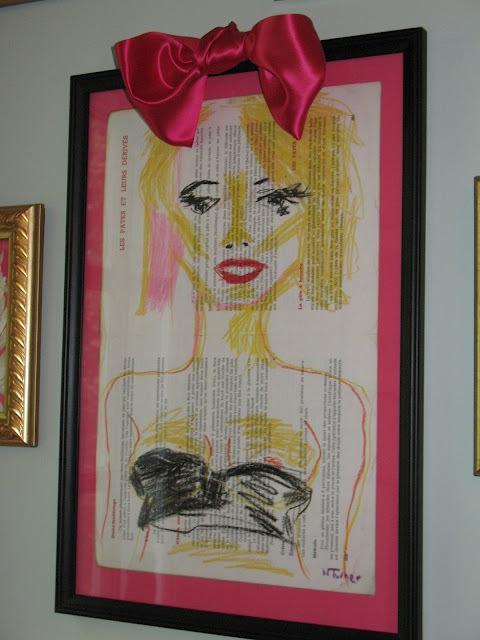 My daughter is a fashion stylist and the two of us are wild about her art, much of it inspired by collections by fashion designers like Chanel, Prada, Louis Vuitton and Missoni. I am now on the hunt for a piece to add on the left. I also have very exciting news about my daughter's apartment. Before the painters had even finished, she had a request for a photo shoot of her place next week. We are now madly trying to get the entire redecorating project slated for a couple of months done in one week! Insane. Full details and a reveal next week of her apartment if we are both still alive. 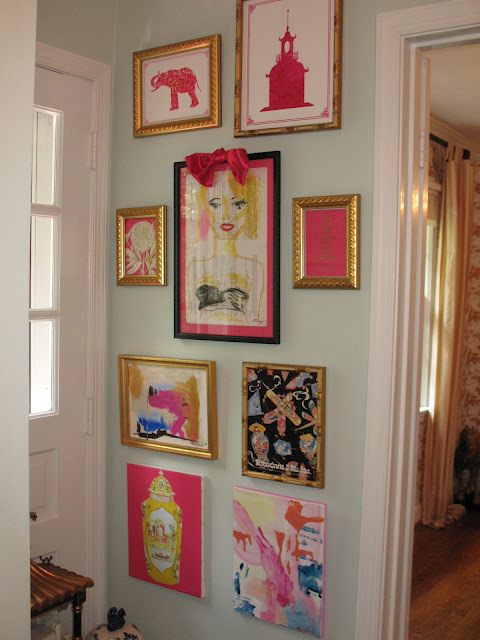 Beth I adore your art and the use of color in your decor; fabulous! Love love love it!!!!! Once again, you are inspiring me!!! Can't wait to see the reveal for your daughter's place!! Congrats to your daughter...I'm sure you helped a lot with her apartment. I like the addition to your wall. On my way to the Etsy store. I'll have to check out those Etsy sites! 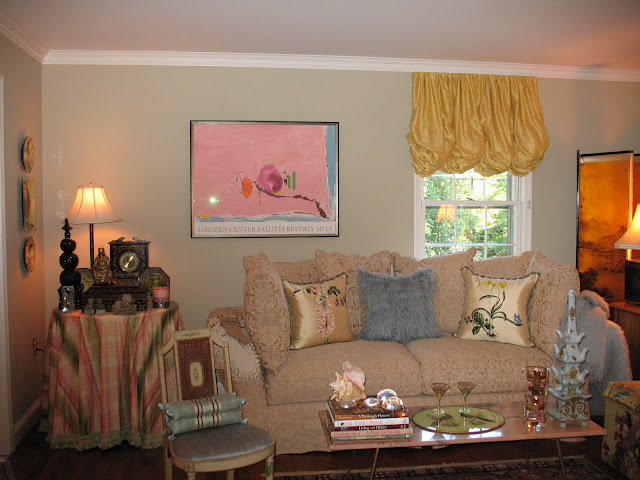 Amazing how abstract art combined with classic furnishings can change the feel of the space. Love the direction you're headed in, Beth! 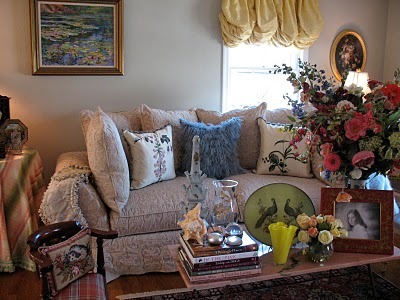 HI Beth I love the mix of modern, and of course, the gorgeous colors.. brava! !